SMA (Simple Mixtures Analysis) is only “simple” by name! With Version 2, we provide make it much simpler to specify equations for compounds. Most importantly, the concentration or purity equations can be automatically determined by the software. In addition to making the SMA experiment more easily specified, this makes it much easier to review the results for each individual component, and make changes if needed. Improvements on the interface makes much easier to use the software interactively. Several new features have been added to simplify the use of equations to specify components. You can now specify all the integral ranges for a component, and select the ones you want SMA to use. When you are creating an experiment, SMA can automatically generate the Concentration or Purity equation for you. Choose the multiplets/ranges you want to use and SMA will adjust the equation to calculate an average value for the normalized areas. 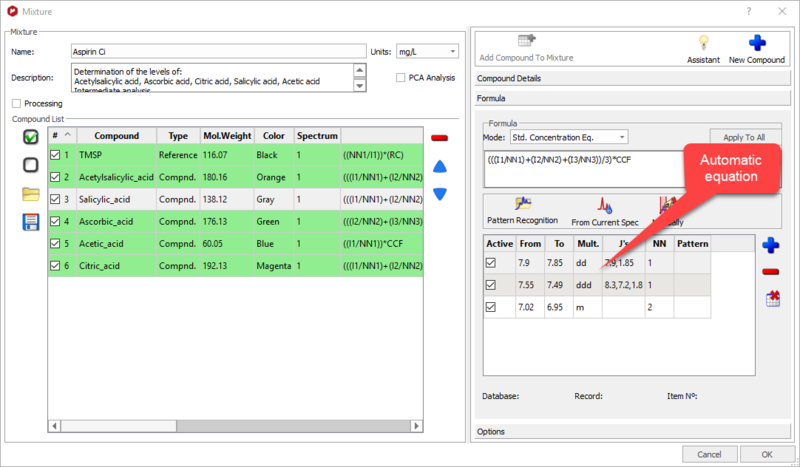 Visually inspect the integral regions for a compound: change integral limits or even remove a range for the mixture analysis. The equations will be automatically changed, and the best analysis can be confidently assured quickly and accurately. 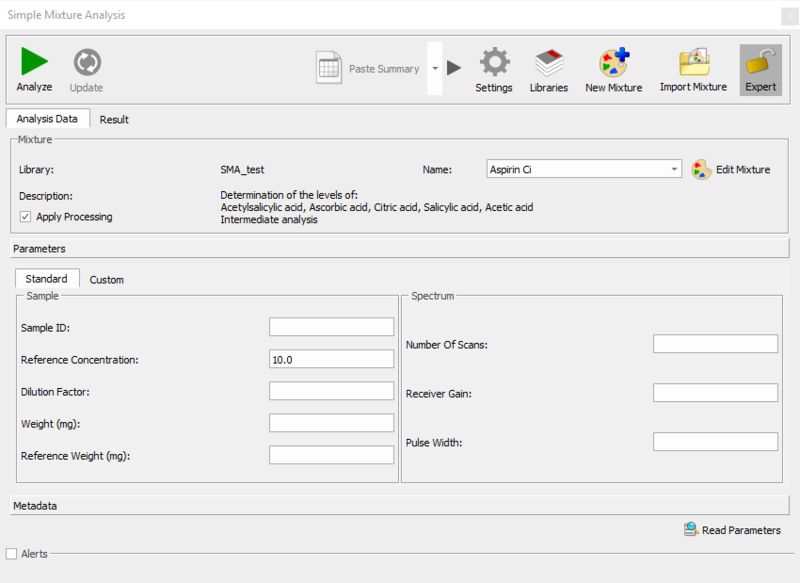 The ultimate targeted analysis tool for NMR! 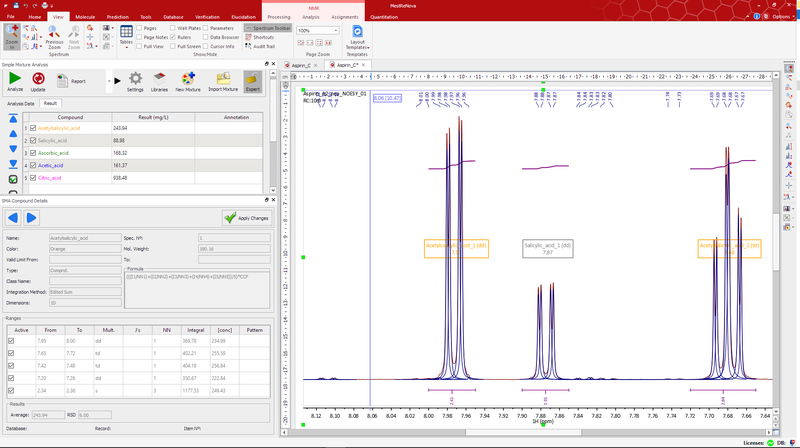 SMA has unique features that allow you to extend the possible use of targeted NMR analysis. Use 1D, 2D data – or both – to extract data for each and every component in a more complex mixture. 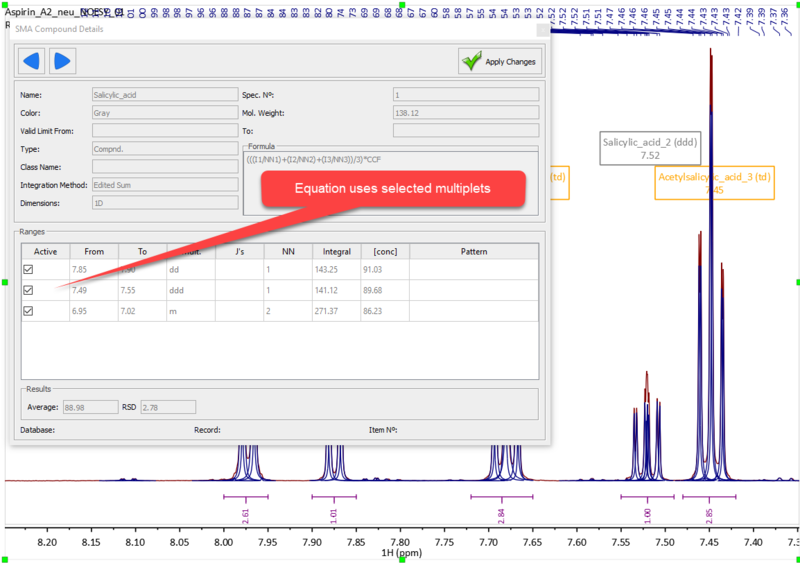 The versatile Equation Editor not only gives you complete control over the analysis of each integral region, but results from previous calculations for a mixture can be used in a new equation. This capability is especially useful for empirical equations used for edible oil analysis. 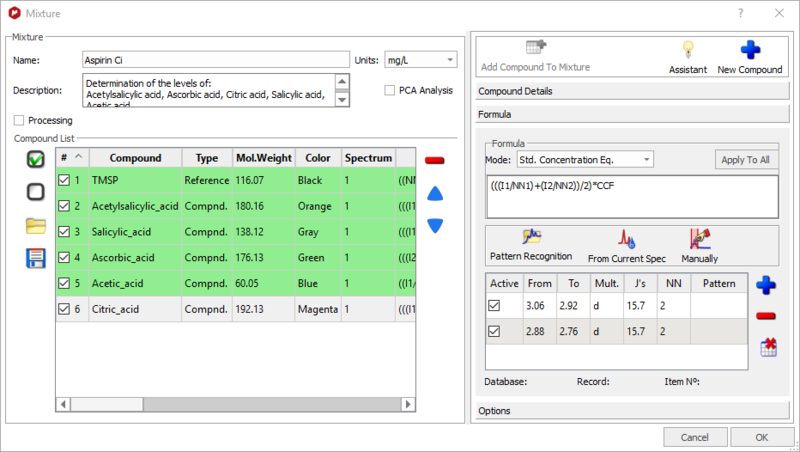 Store sample-specific parameters such as compound mass with your data, and SMA can retrieve it. Finally, you have all Mnova capabilities at your fingertips. Critically, any integration methods can be used, including our latest, industry-leading qGSD capability.